The president's office of the Formentera Council reports the island's law enforcement force has logged 115 citations for itinerant sales this summer. Bartomeu Escandell, who is the chief of the department in addition to head of the local police, says the citations reflect the administration's commitment to supporting local business and stemming the unfair competition that itinerant vendors represent. Quipped Escandell, “itinerant selling is illegal and at odds with the image of tranquility we want our visitors to enjoy”. From June to September agents wrote 115 citations and confiscated an array of material including 1,392 pieces of fruit, 1,028 drinks, 1,257 pieces of clothing, 165 pieces of costume jewellery, 13 rucksacks, a barrel, 11 parasols, 20 knives, 17 hammers and other equipment used by vendors. The months of July and August were particularly noteworthy, with 41 and 42 citations, respectively, or 13% and 27% higher than last year. September saw the number of citations triple, going from three to nine, despite the fact fewer agents were on the force this summer. Most of the confiscated material came from near Ses Illetes beach, although operations also focused on beaches like Migjorn, Es Caló and the area adjacent to the Es Cap de Barbaria lighthouse. 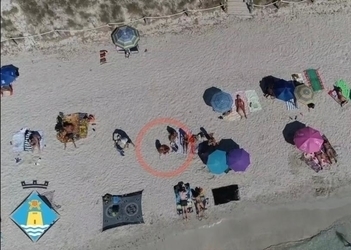 Formentera local police also wish to highlight their current partnership with the Sant Josep force's drone specialist. The collaboration made it easier for agents to pinpoint well-stocked hiding spots and catch multiple vendors in flagranti and issue the corresponding citations. 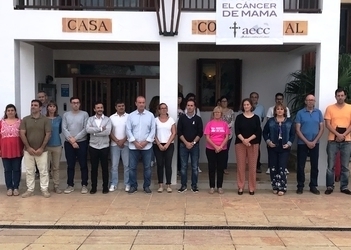 The Formentera Council has announced three days of mourning will be observed in solidarity with the victims and all those affected by Tuesday's storms in Sant Llorenç des Cardassar and several other towns in the east of Mallorca. Kicking off the events organised by the Council this weekend will be the dedication of a memorial for victims and the observance of a moment of silence. 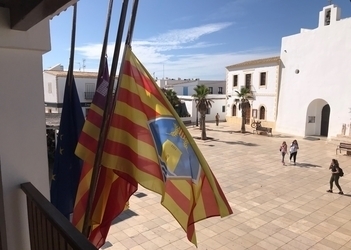 Joining a chorus of support touched off by the regional government in Palma, the Formentera Council announces it will observe a minute of silence for the human lives lost in Majorcan towns battered by heavy storms. Formentera residents are invited to the Council's front steps at 12 noon today, where administration chief Jaume Ferrer will be joined by numerous council members and administration staff in respecting a minute of silence following the ravages caused by strong storms in Sant Llorenç des Cardassar and several towns in Mallorca's Llevant area. The Formentera Council's human resources department reports the following jobs have been posted among “public sector” listings on the Balearic Islands job seekers' resource, SOIB. Youth worker; covering position left open following voluntary departure. Deadline: October 15. Cleaning staff; covering positions left open when two individuals filled posts in other Formentera Council departments. Deadline: October 16. Caretaker; watching over municipal gallery. While outside firms have previously been enlisted to fill this position, the current initiative will involve determining need for internal coverage of position. Dance instructor; covering position left open following voluntary departure. Pool lifeguard; covering large demand at fitness centre swimming pool. Cook; working at Formentera's dependent care centre (Centre de Dia) between December 18 and January 18 (one month). Crew member; half day, covering evening needs at animal shelter. Announcements will soon be made regarding the openings to be posted this autumn. 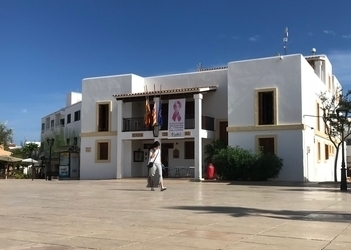 The president's office of the Formentera Council reports that yesterday as part of hometown patron saint celebrations for local law enforcement, special distinctions were granted to three members of the island's police force: Senyora Genoveva Hernández García, Senyor Joan Mayans Cardona and Senyor Miquel Félix Moncada Ortiz. 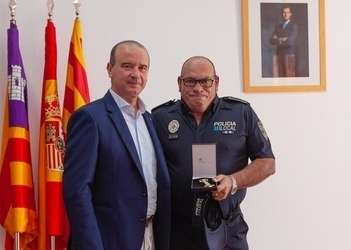 Known as the “Police Merit Cross” (Creu al Mèrit Policial), the honour is given to agents who have completed thirty years of service, irrespective of rank and whether or not they are currently on active service or special assignment. To be eligible, an officer must not only possess an outstanding professional record clear of ongoing disciplinary action, he or she must have no disciplinary measures pending cancelation on their personal records. The ceremony, which began around noon in the Council's Sala d'Actes, was attended by CiF chair Jaume Ferrer, the director general of the interior in the Balearics, Pere Perelló; chief of central government affairs for Eivissa and Formentera, Ramón Roca; national police inspector Manuel Hernández; Guardia Civil capitan Jose Antonio Gálvez; CiF deputy chair Bartomeu Escandell; Formentera chief of local police Félix Ramos; honorees; family and friends.